Anthony Bourdain gets his haircuts at Quality Barbers, when he is not away filming his award-winning shows – No Reservations, The Layover, Parts Unknown. 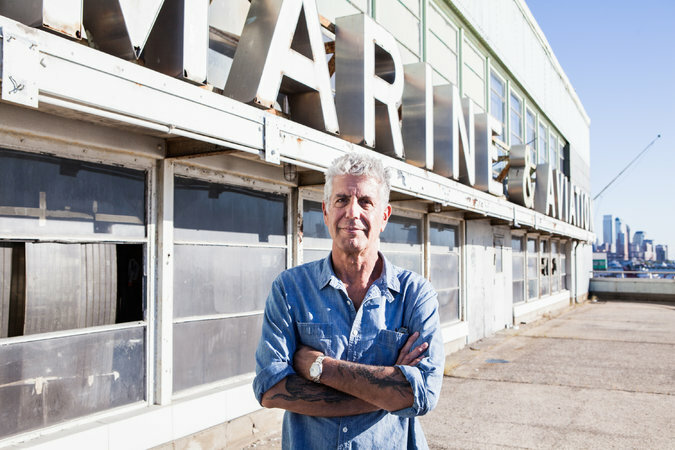 We are proud to have Anthony Bourdain as our regular client since 2012. Be sure to check out the Bourdain market when it is open to the public in 2018. When complete, the SuperPier will house 250,000 square feet of office space for Google, 170,000 square feet for Anthony Bourdain’s food hall, and additional space that will allow the building to host the Tribeca Film Festival. Pier 57, a shipping terminal built in 1952 and vacant since 2003, is owned by the city and the state, which have leased it to Youngwoo & Associates, a real estate developer, and RXR Realty. The Bourdain market has a binding agreement with the two. At the market’s western end, they plan a full-service restaurant, with a mezzanine overlooking the main hall. No operator has been chosen. The Hudson River Park Trust is also planning a restaurant on the roof. In addition to all the places to eat, the project will have what Mr. Bourdain calls “a wet market” where butchers break down whole animals, and fishmongers scale, cut and fillet. There will be culture and entertainment like karaoke, Asian pop performances and films. “I’d be so bold as to suggest that it will be a destination,” Mr. Werther said. The developers say they expect 20,000 visitors a day; the market will be open almost around the clock. That should suit Mr. Bourdain, who says he doesn’t sleep and expects to immerse himself in running the market. “I’m particularly concerned with the atmospherics, the authenticity, the smell and feel and sound of the place,” he said. “Will it be the kind of democratic space open to and used by all? Will wealthy and working class alike find something to love in common?